As part of the overall advertising plan, we recently worked with KOMO 4 and Seattle Refined to have this beautiful native content segment produced for Fort Lawton. It turned out fantastic. This type of sponsored content provides value beyond the initial television airing and online posting. It’s about giving the client content to share socially and to re-purpose for sales efforts in the future. 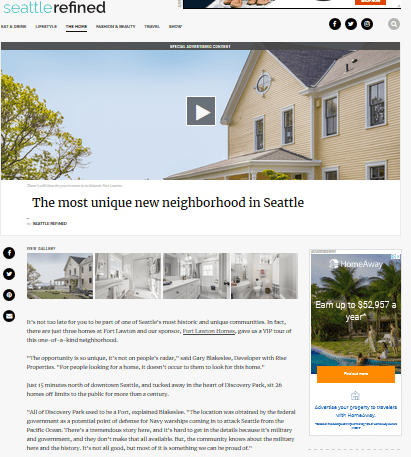 Additionally, the back link provided from the story being live on a KOMO’s website assists with Search Engine Optimization to generate organic search traffic.